Are you struggling to find the right size mat for your trampoline? We’re here to help! We custom-make rectangle replacement mats! 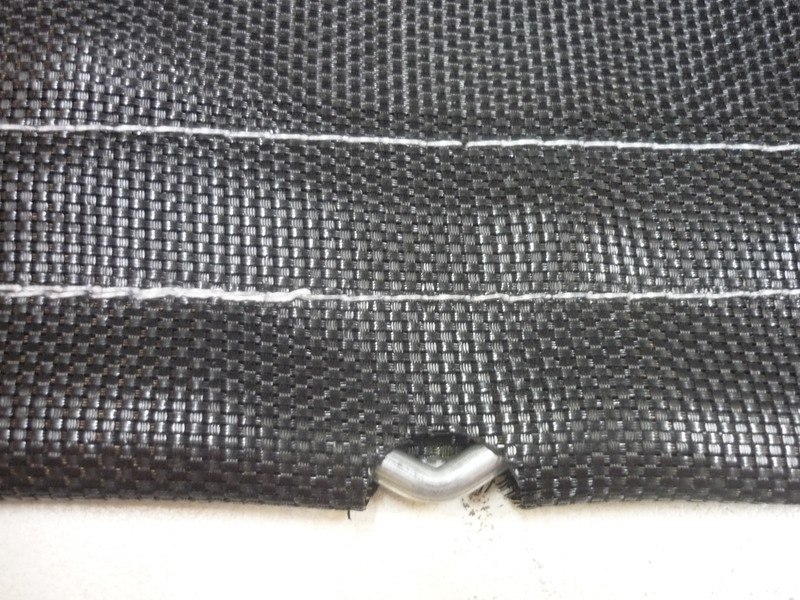 Here at Topline Trampolines, we have been making all sizes of black poly mesh rectangular mats for over 50 years. Our replacement mats are Australian Made and designed right here in our Gold Coast factory. There are a few things you need to know before you go ahead and order your new replacement mat. Australian made black poly trampoline mats and Chinese made mats use different wiring systems. Make sure you’re aware of what your trampoline currently has as you may need to purchase additional parts. 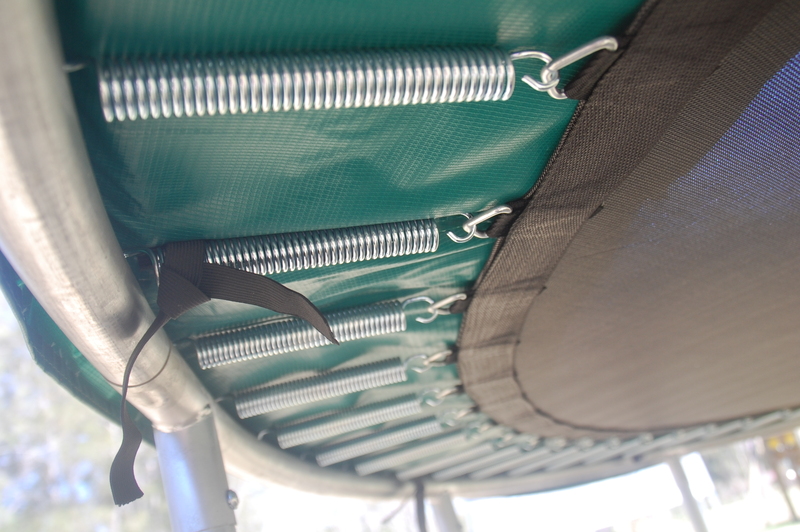 Australian made mats use the wire bar system, pictured below. If your old mat still has the wires inside, you can reuse these wires for your new mat. However, if your missing some you can simply purchase a pack of replacement wire bars. Chinese made mats have triangle attachments, pictured below. If your old mat has these triangle attachments you can still purchase a custom-made Australian mat! You will just simply need to purchase our mat with a full set of wire bars. It is important that you measure your trampoline mat correctly to ensure it will best fit your trampoline frame. If you can’t find the correct mat size for your trampoline on our website please contact our friendly team for custom-made pricing information.